MINERAL exports will contribute more than K9 billion and estimated total income from alluvials for 2016 will exceed K330 million according to the Minister for Mining Byron Chan. He announced the figures in Sydney at the PNG Mining and Petroleum Investment Conference yesterday. Mr Chan said several key mines have shown increasing production and revenue this year including Lihir, the largest producer, projected to be up a whopping 38 percent on revenue against 2015, Pogera (17 per cent), Ok Tedi (36 per cent), an impressive recovery from their closure, Hidden Valley (33 per cent) and Simberi (20 per cent). He said this was further cushioned by the smaller mines such as Kainantu and Tolukuma who are re-commencing commercial production in 2017, and Crater Mountain and Eddie Creek who are expected to increase gold production. “As a result of these developments in the mineral sector, it will continue to contribute significantly to the country’s economy. “Unless there are further commodities price falls in our key minerals of gold, silver, copper, nickel and cobalt, this level of production and revenue is expected to continue to rise over the next few years,” he said. Mr Chan said the number of world class operating mines and advanced projects in PNG will undoubtedly attract investors, and open up new business opportunities, both locally for the country as a whole and especially in mining provinces. He said East and West Sepik, and Morobe, who have not had a major resource project, will experience an increase in business activities adding that planning by both provincial and local level governments in relation to these mines is crucial to make themost out of the growth opportunities and advised that these provinces start planning now. He noted that projects such as Yandera copper, Orokolo Bay iron sands, Gulf coal and Morobe chromite which went into hibernation due to the downturn, will awaken with improvement in metal prices. “These are all growth opportunities within the sector waiting to be harnessed for investor returns and economic progression. 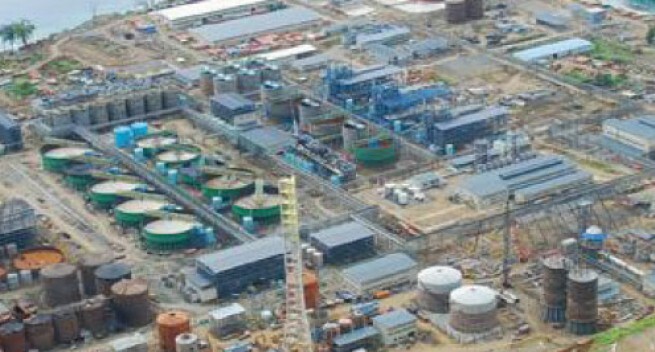 With low mineral commodity prices experienced in the last four years, and the slow growth in development of some major mining projects, analysts have maintained however that the mineral sector will continue to be sustainable, and PNG as a country will continue to maintain its attractiveness as a preferred exploration and mining destination,” he stressed.